With the recent sales on spinach, I stocked up. I almost expected James, a devout missionary evangelizing on the joys of bacon cheeseburgers and Krispy Kreme doughnuts to rebel against these spinach patties, but his parents fed him a good diet with many vegetable dishes. However, the preparation of Asian-style vegetable dishes (aside from your basic stir fry) can get quite involved and time-consuming, so I was on the lookout for something a little faster. I wasn't sure what I'd make with the spinach - until I thought about Zucchini Fritters. If you're a spinach fan already, this recipe might be a bit on the heavier side, but it's still lots of fun to eat. 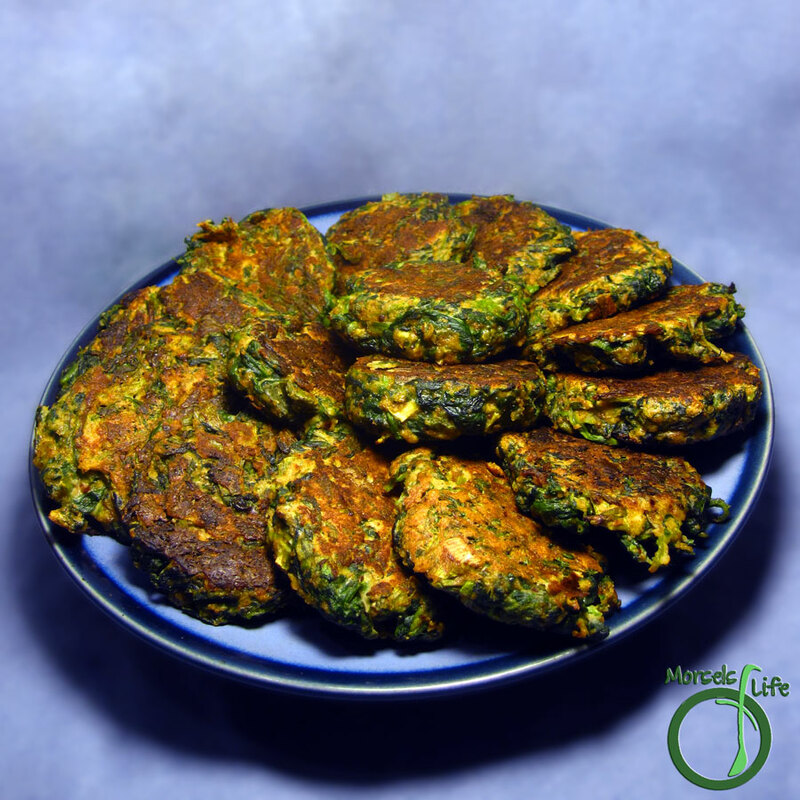 Although we ate these spinach patties as a side dish, you could very easily make larger patties for burgers or just a nice snack. What's your favorite quick vegetable dish? Combine all materials, mixing well. Form patties, and then cook in a greased pan about 5 minutes on each side. I made smaller patties and used them as a side/appetizer, but you could easily make larger patties for burgers. Yum, yum! Yeah spinach has been on sale here too, I wonder why all of a sudden it has become so inexpensive. I often prefer plain steamed vegetables with a bit of good oil, lemon juice, salt and black/red pepper. This works for broccoli, Brussels sprouts, carrots and beets. For rutabaga, I like to add hoisin sauce; sometimes I mash it first. Greens I like raw in salads or cooked in soup, chili, tomato sauce or fillings. Fritters is a use for vegetables that I don't use enough. Thanks for this recipe. I will keep searching your data base for more interesting recipes. Fritters can sometimes make veggies more fun. And at least with my kiddo, more fun foods get eaten more. :) Hope you enjoy what you find!